The holidays are always filled with such wonderful foods and flavors…and then comes the leftovers. If you are scrambling to find a way to use up that leftover holiday turkey, I’ve got the perfect recipe. I tried this one because I will have family in for the holidays so this helps me in a couple of ways. 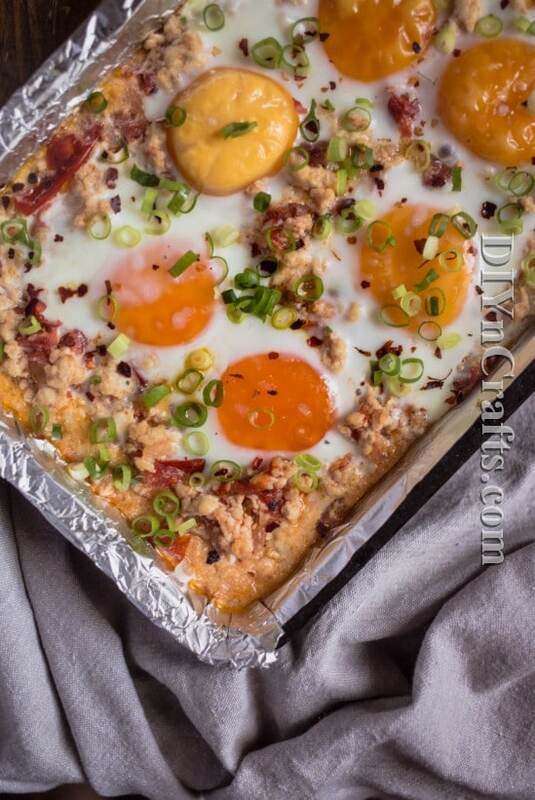 It lets me use up my leftover turkey and it helps me to create a delicious breakfast casserole that is easy to make and that everyone will love. You could also use this as a brunch recipe or even a dinner main dish, but I love the idea of making it for breakfast. I used freshly cooked turkey when I tried the recipe but it will work just as well with leftover turkey. It’s so easy and only takes about 10 minutes to prepare. It has so many wonderful flavors too including garlic, onion and fresh tomatoes and you can throw it in the oven and visit with your family while it bakes. If you wanted to create a buffet type brunch, this would also be a great recipe, and you can pair it with these yummy potato pancakes. Just a note, if you are using leftover turkey for this recipe, you can eliminate one of the steps. You won’t need to cook your turkey but you should mince it a bit – you could even put it through the food processor to do this. If you’re using ground turkey you will need to cook it first. This really is a simple recipe and it’s so delicious with all the flavors that combine together. If you love a great egg bake, this is the perfect one to try and you should consider these homemade cheese sticks if you are planning a brunch buffet type meal with this. 1. Preheat your oven to 375 F (190 degrees C). 2. 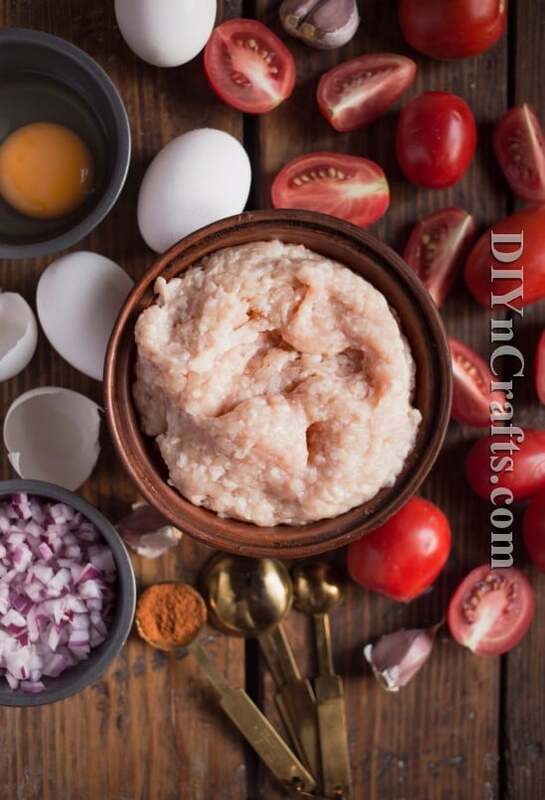 Make your tomato salsa by sautéing fresh tomatoes, onions and garlic for 10 minutes. Season with chili powder, salt and sugar. Set aside. 3. Heat olive oil over medium heat and fry minced turkey for 5-7 minutes or until white and crumbly. 4. 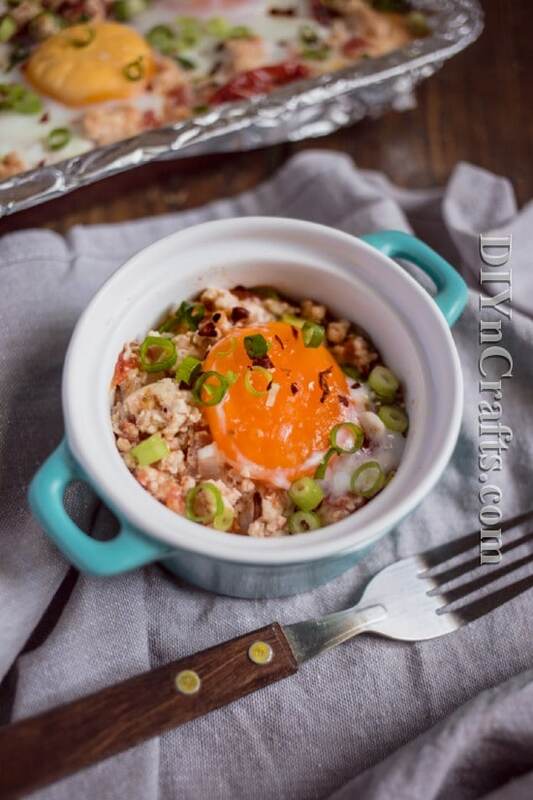 Combine minced turkey with sauce and spread in a baking dish. Crack 6 eggs on top and bake for 10-12 minutes or until the eggs are set to your preference. The holidays are always filled with such wonderful foods and flavors…and then comes the leftovers. 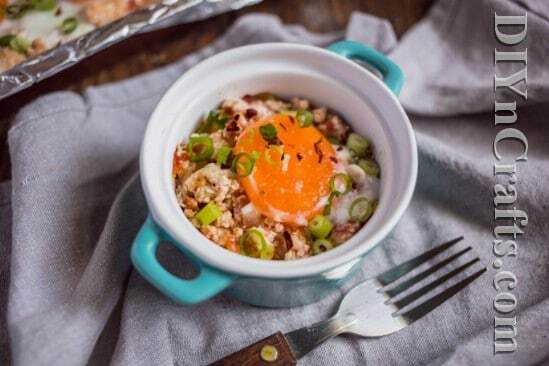 If you are scrambling to find a way to use up that leftover holiday turkey, I’ve got the perfect recipe. Preheat your oven to 190 degrees C (375 F). 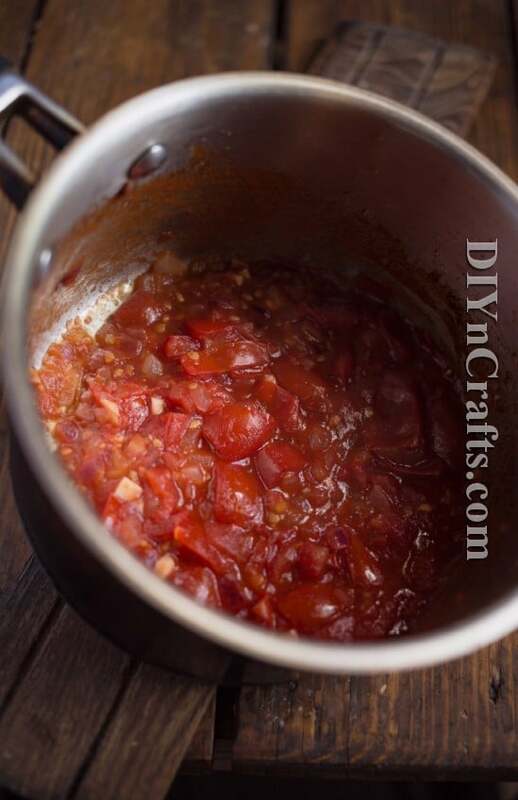 Make your tomato salsa by sautéing fresh tomatoes, onions and garlic for 10 minutes. Season with chili powder, salt and sugar. Set aside. Heat olive oil over medium heat and fry minced turkey for 5-7 minutes or until white and crumbly. Combine minced turkey with sauce and spread in a baking dish. 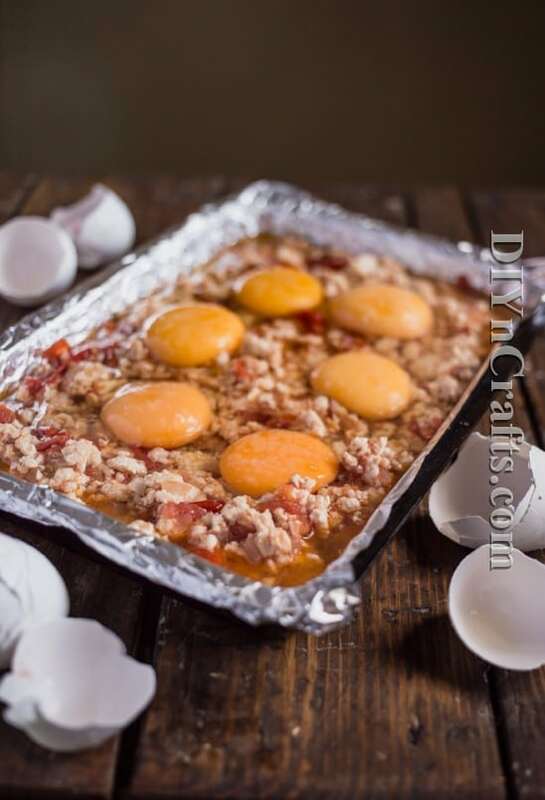 Crack 6 eggs on top and bake for 10-12 minutes or until the eggs are set to your preference.